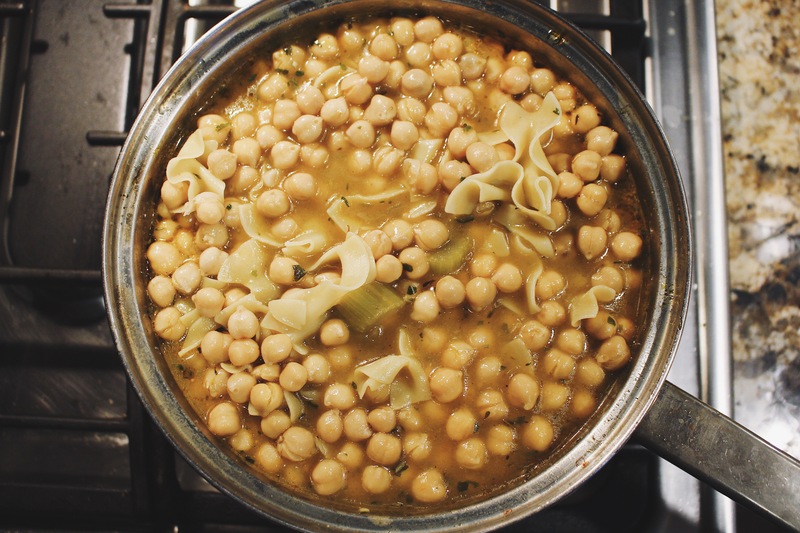 Veggie Chickpea Noodle Soup, what a mouthful right? Since cutting out meat from my diet, I’ve been looking for recipes similar to my traditional meals with meat replacements. 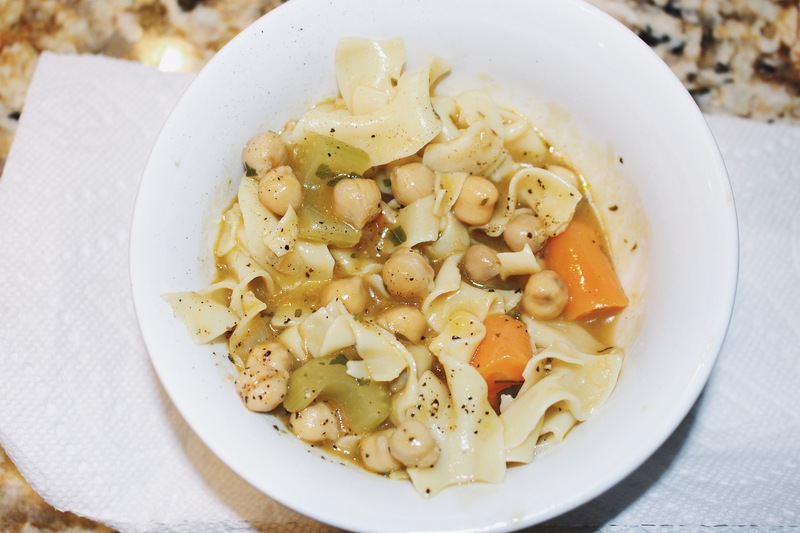 I’ve always loved chicken noodle soup, so when I found this recipe I jumped right into my kitchen to make it! The chickpeas are a great replacement for the chicken. 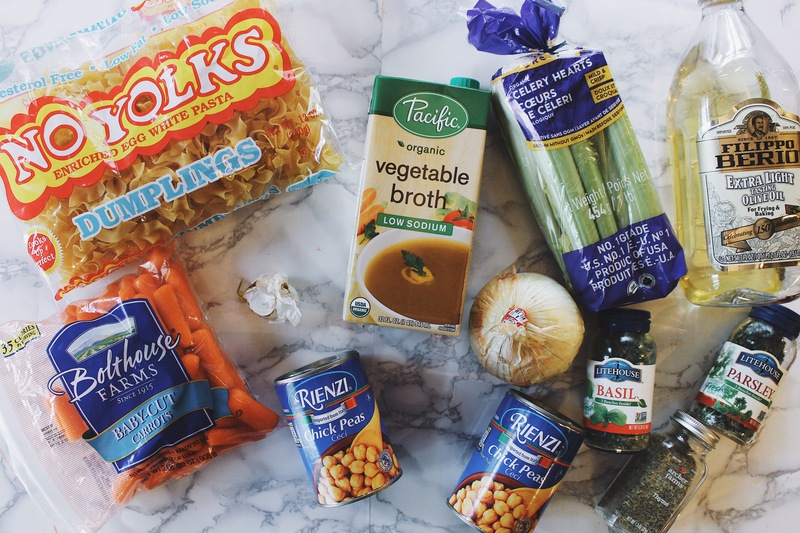 This soup is extremely easy to make and taste delicious! I hope you enjoy! 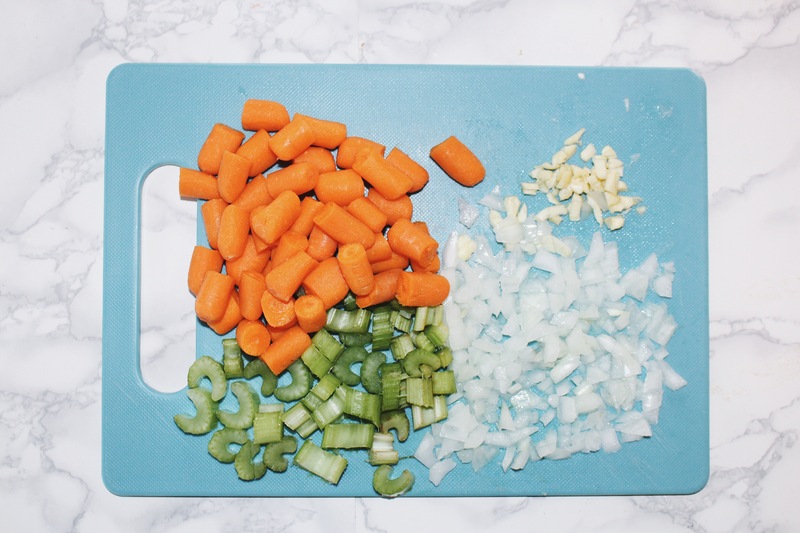 Chop your all your veggies first (carrots, celery, onion and garlic). 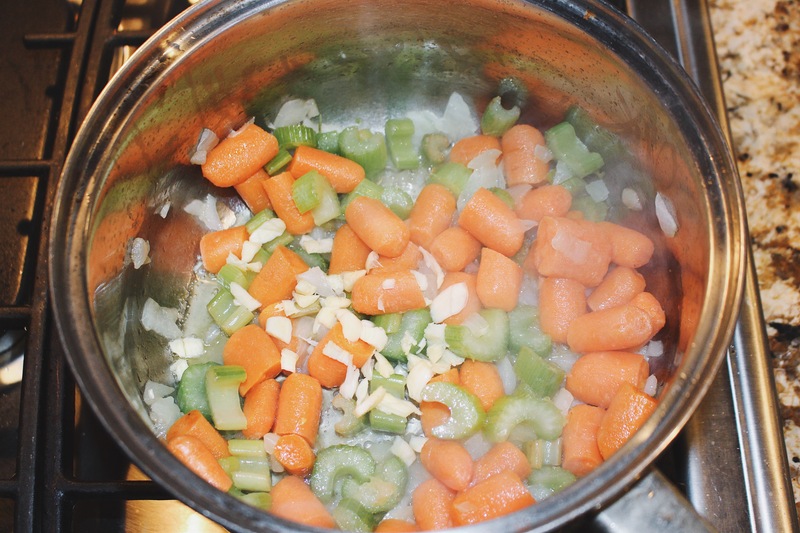 Heat you oil in the pot first for 2 minutes, then add in onion, carrots, and celery, cooking for about 10 minutes. Next, add your garlic, and cook that for another minute or so. Add 4 cups of vegetable broth, thyme, basil and pepper (only add salt if chickpeas and broth are unsalted), and bring to a boil, simmer covered for about 10 minutes. 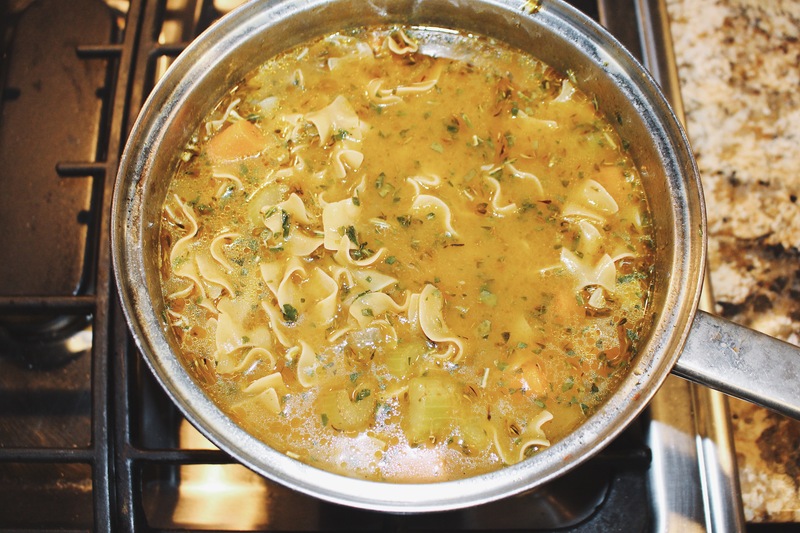 Add the last 4 cups of vegetable broth, and the noodles – cook until pasta is ready. Close the heat and stir in your chickpeas and parsley. I hope you all enjoyed this recipe! 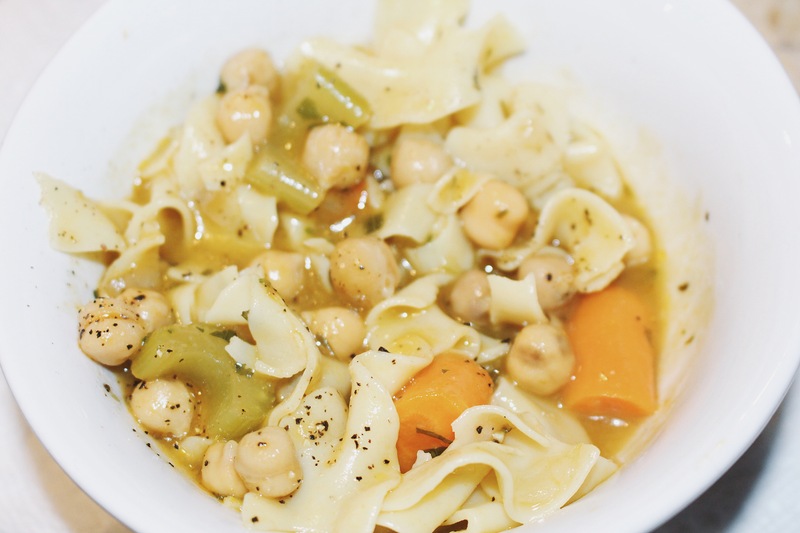 This soup is absolutely delicious and is perfect for all my vegan/vegetarian friends! This has been my go-to soup all Fall, and will continue to be into the Winter! Thanks for reading!